I've said this before, and I'll say it again...I love a good pair of flared denim. I've had this dark wash pair forever and don't plan on getting rid of them anytime soon. 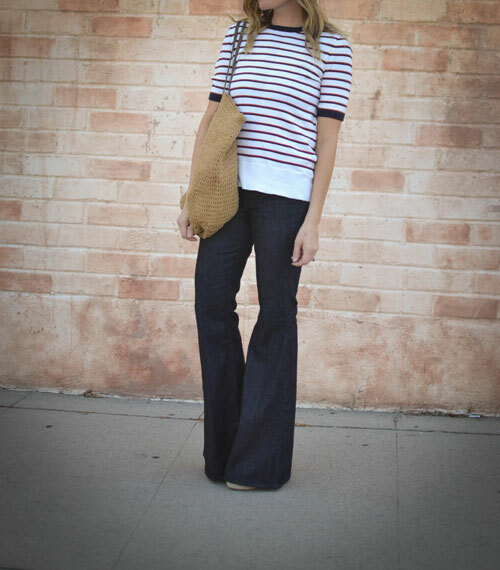 I went for a 70s' inspired look with a striped sweater, straw tote and wedge espadrilles. 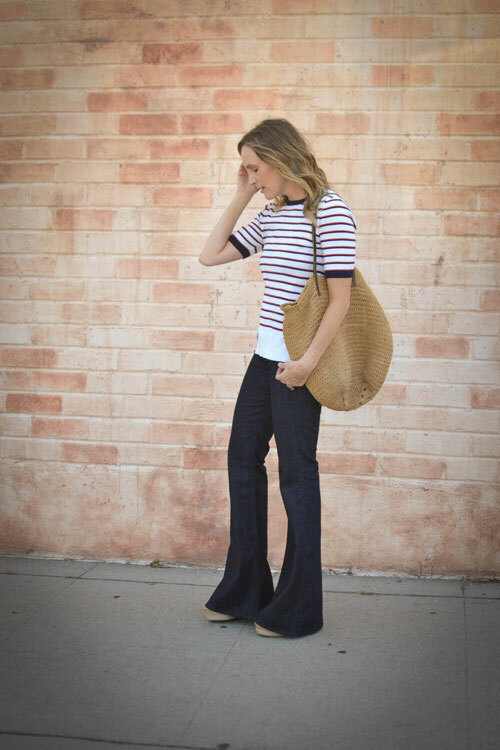 You're totally rocking these flares!! Great casual combo!